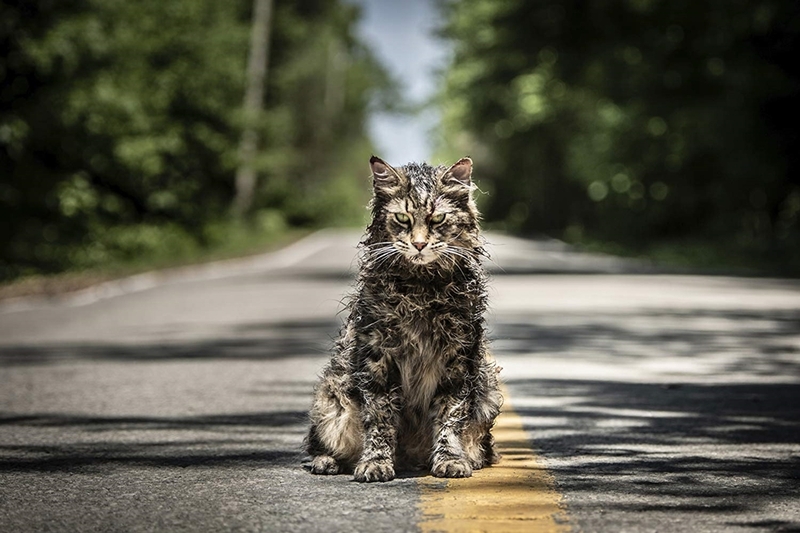 When I heard that Pet Sematary is making a comeback after its 1989 debut, I know that I have to watch it. I've read the novel and watched the first one, so why should I skip on this one, right? In the novel, Louis manages to kill the undead versions of both Church and Gage with morphine. The resurrected Church and Ellie end up surviving the events of the film. Dr Louis Creed moves to Ludlow, Maine with his wife and two children, Ellie and Gage and their pet, Church. 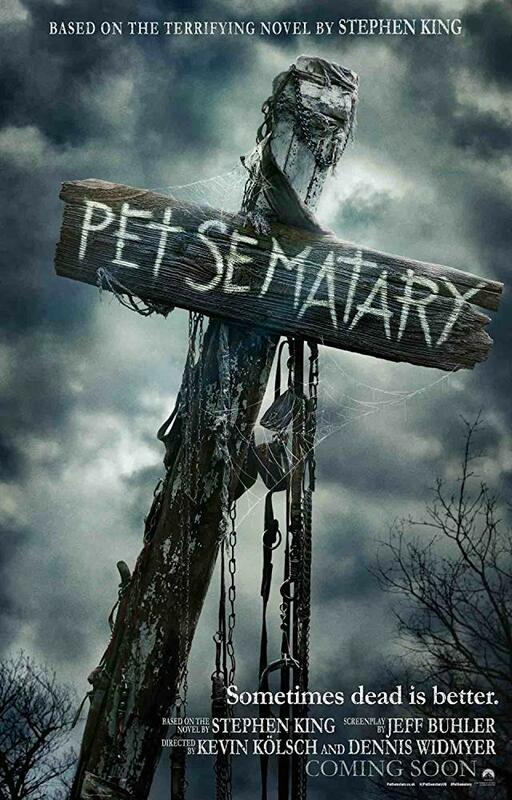 Hypnotised by the large land area and the green outside while exploring their new home, Ellie stumbles upon a procession of children, sending off a deceased pet dog to a cemetery ground named 'Pet Sematary'. The ground is located on Dr Louis' new land. 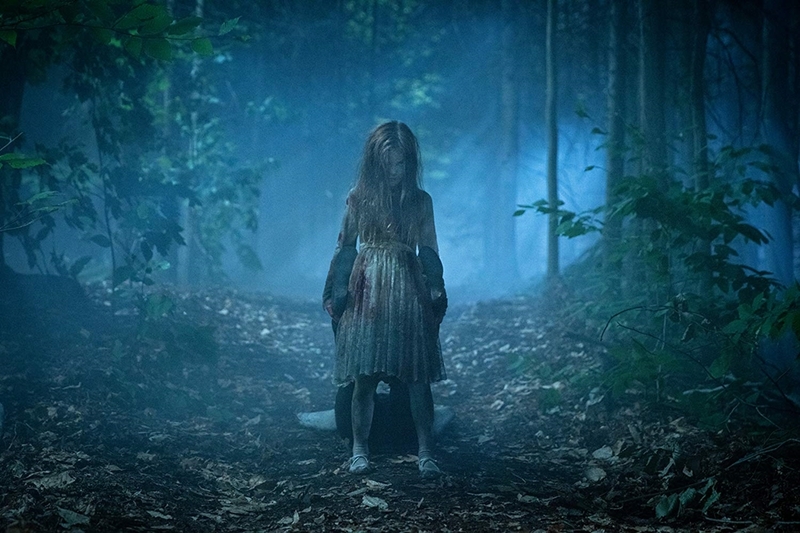 While exploring the cemetery, Ellie meets Jud, their neighbour who warns Ellie and her mother, Rachel not to venture alone into the woods. Meanwhile, Dr Louis is feeling shaken after failing to save the life of Victor, a student who has been fatally injured after met an accident on the university ground. That night, he dreams of walking around the 'Pet Sematary' ground and meeting Victor who told him not to venture beyond the cemetery ground. 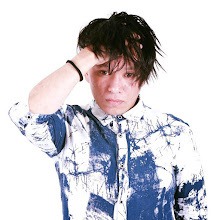 When he wakes up in the morning, he finds his feet are muddy, apparently after walking barefoot to the cemetery ground, which means he was not dreaming. When Church is killed by a truck, Jud takes Dr Louis to the cemetery ground and leads him to beyond the ground as Jud wants to make Ellie happy again, not wanting her to be distraught of Church's demise. Jud tells Dr Louis to bury Church on the ancient ground once used by the Indians which was supposed to be very magical and mystical. The morning after, Dr Louis is surprised to see that Church is back in the house, but with a different attitude - seemingly more aggressive than before. 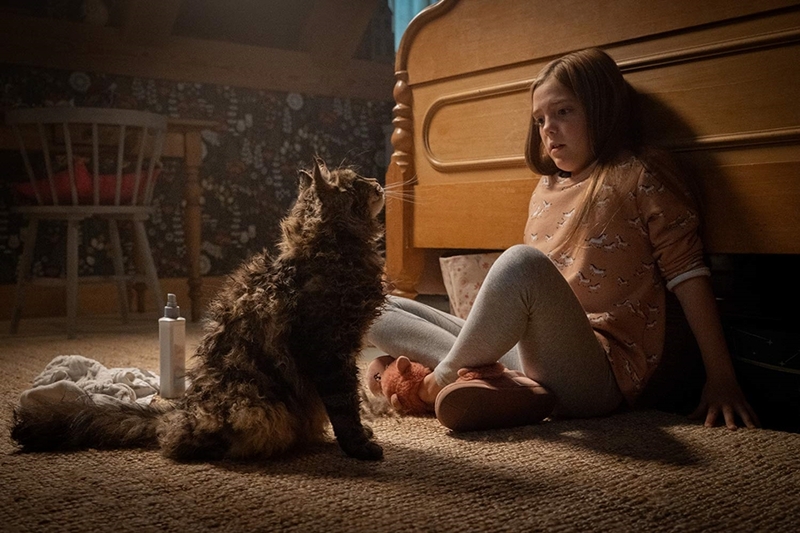 After Church scratches Ellie and kills a bird in front of him, Dr Louis confronts Jud about the burial area who explains to him that the ground is able to bring back the dead. Dr Louis then brings Church to a faraway place and releases him onto the highway, just wanting to keep Church a distance from his family. I am literally DRAGGING my mum! On Ellie's 9th birthday, Church comes back and Ellie was the first to see the cat walking down the road towards the house. Running towards the cat, a tanker skids and kills Ellie. Devastated, Rachel brings Gage to her parents' place leaving Dr Louis alone. Intrigued by the thought of having Ellie back, Dr Louis exhumes Ellie's body from her grave and buries her on the ancient burial ground. Ellie returns, and just as Church did, her attitude is changed - dark and menacing. Is that really Ellie? Will the family be able to accept the resurrected Ellie and become a happy family again? I told you not to use that shampoo - look at my fur now! MY VERDICT Plot: 4.8/ 5.0 I've read the novel and watched the first movie, so I know the story before even going in for the movie. Of course, it will not be fair to compare the plot to the novel. Also there are some differences in the movie as compared to the novel. 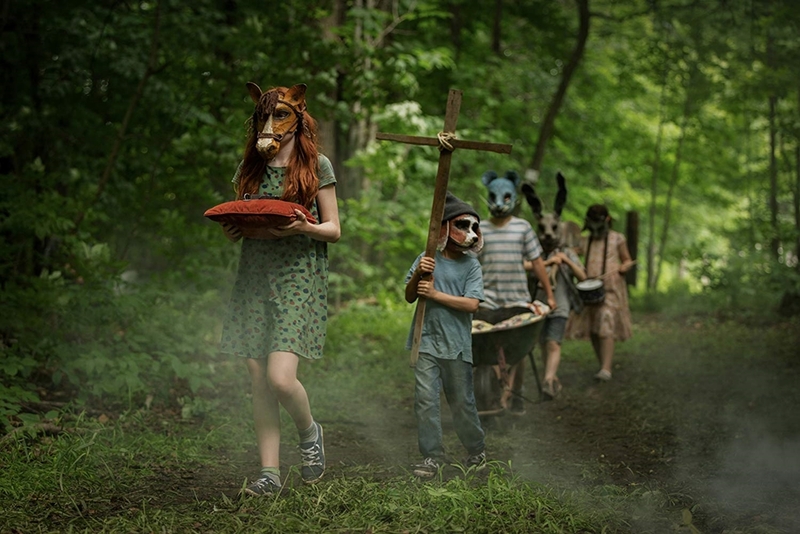 Somehow, the differences kinda create a new version of 'Pet Sematary'. Cast: 4.7/ 5.0 Oh my. Jete as Ellie is marvellous and she is super committed as the undead version of Ellie. All are super committed to their parts and I have no complaint at all. Will I watch it again: I will, at home as I love to rewatch all my favorite movies during my free time. ehh tak tahu pulak movie ni based on novel. Takut lah tengok cerita ni, teringin nak tengok sebab belum sempat baca novel dia, tapi zul penakut. Hahahah trailer dia pun dah sedih & seram. Masuk panggung nanti terjerit jerit pulak zul. Rajin betul Rawlins layan movie.. Kita selalu tahu pasal movie pun dari blog ni je la. Sendiri nak tengok ntah bila. Hehe..
Ooo movie ni based on novel.. baca sinopsis memang best tapi kalau movie genre macam ni memang i takkan tengok sebab i jenis takut . hahaha . .tak ada keberanian nak tengok . oh, actually I didn't know that this movie is already screening. I love horror movie and definitely will watch it as soon as possible. :) Nice review. Lel! The last one. Hahahaha. TBH I hate resurrected movie cause it scared like hell. Like what on earth that people can accept this IRL. Even looking at the girl also so scary. Like zombie you know coming from dead! So scared liao. My heart was beating as I read through your post, I like the plot to it, will watch it soon. Ala Iza dahla suka kucing. Why??? Scary la citer macam ni. Takut nak tengok. Dekat netflix ada yg lama punya pun Iza tak berani nak tengok. wooo.. this sound scary and seems like something not to be missed... wanna watch this with my hubby !! tak sempat tengok lagi filem ni. nampak macam menarik. ada kata boring dan ada jugak kata memeningkan. tapi memang ada plan nak p tengok jugak nanti.